Pennsylvania is notorious for having high rates of pedestrian accidents. 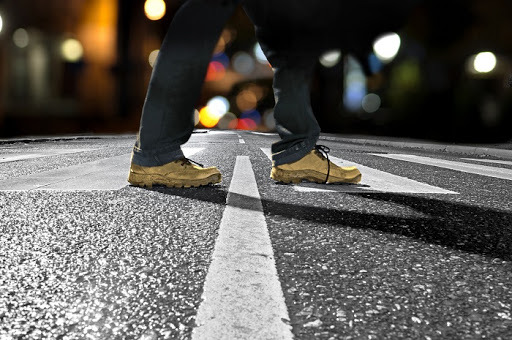 Each year, there are over 800 pedestrian accidents. In the majority of cases, an injured pedestrian ends up with severe injuries, as they have neither a helmet nor a seat belt to protect themselves. Many of us use the road to travel. It is important to know where it is safe to walk and how to cross the street. If you are having problems with pedestrians in highly populated areas, here are some tips that will help you avoid pedestrian accidents. Regardless of the speed limit, if you see that the streets are crowded with pedestrians, slow down your vehicle. You never know when a child may run after a ball, or when someone’s dog may get off leash. Before you know it, someone will be in front of you and if you do not act immediately, you will end up hitting a pedestrian. Pittsburgh Pedestrian Accident Attorney advise you to control your vehicle, and the best way to do it is by simply slowing down. The slower you go, the less chance you have of causing an accident. Keep that in mind when traveling through pedestrian areas. If you are at the red light or intersection where pedestrians are crossing the street, do not hit the horn as soon as their green light is gone. There could be seniors or people with disabilities crossing at that point, and you have to give them extra time to cross the street. Do not pay attention to people behind you screaming or yelling at you; keep your cool, let the pedestrians finish crossing the street and be on your way. The best trick to know if the pedestrian is about to cross the street or not is eye contact. Every pedestrian who sees an incoming vehicle will always look to make that eye contact; if they do it, be sure that they will try to cross the street. As a driver, it is your responsibility to slow down or completely stop, even if they are crossing outside of the crosswalk. Keep in mind that the moment you look them in the eyes, you are communicating with them. And even though you may be thinking “do not cross the street”, the pedestrian will think “Oh good, he saw me, now I can safely cross the street”. Just because the car in front of you stopped suddenly, does not mean that you can try and go around them. What if there is a kid in front of the car trying to cross the street, or chasing the ball? By going around them, you risk hitting and killing that child. Always be on the lookout and keep your focus on the road. Just because you do not see something, that does not mean that it is not there. Call Pedestrian Accident Attorney in Pittsburgh if you end up in an accident, and seek legal information and representation.